Whether you’re a new homeowner or a hardened lawn-mower, you’ve probably heard at least one of these lawn care myths—and you might even believe it. These expert tips will set you straight. If lawn care was easy, there wouldn’t be a thriving industry for lawn care services and mowing the lawn wouldn’t feel like the punishment-slash-chore it is. Alas, lawn care is decidedly difficult, which is unfortunate when you consider the fact that an unkempt lawn can tank a home’s curb appeal. A number of factors make lawn care so difficult, not least being the fact that being able to care for a patch of grass involves few skills and knowledge sets possessed by the general population. A farmer, professional gardener, landscaper, or biologist may have picked up some relevant knowledge that they can apply to lawn care, but nearly everyone else is out of luck, especially because one of the only ways to get better at lawn care is to care for a lawn, which isn’t the sort of thing many people get practice in before becoming home-owners. The slew of myths surrounding lawn care don’t help, either. To sort fact from fiction, we turned to Chris McGeary, chief marketing officer at Lawn Doctor, lawn care company. McGeary shared popular myths, plus the lawn care tips that can replace them. Skip these myths—which are at best ineffective and at worst harmful—and your lawn could be the best on the block this year. Myth: Beer can be used as an effective fertilizer for your lawn. The idea behind this myth is that beer can introduce yeast to soil, which helps it grow. “While beer does contain yeast, it also contains sugars, alcohol, and other ingredients that will actually hinder healthy grass growth,” McGeary says. “In fact, the yeast in beer encourages fungus growth.” Instead, use real fertilizers—store-bought, homemade, organic, whatever—that give your lawn more nutrients than just yeast. Myth: You need lime on your lawn, no matter what. Lawns only need lime at certain pH levels. Adding too much lime, or using it unnecessarily, will burn out your lawn, McGeary says, turning grass brown instead of the lush green you want. Myth: It doesn’t matter what time of day you water your lawn. 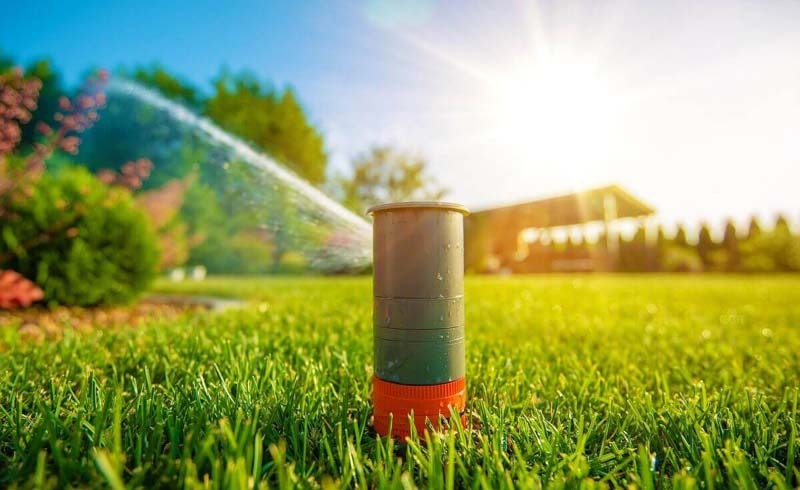 The best time to water your lawn is early morning, before 9 a.m., McGeary says, ideally between 6 and 9 a.m. There’s less sunlight and wind at this time; if you water during the hot afternoon, a lot of the water might evaporate before reaching the grass roots. Watering in the evening is even worse, because it can create conditions that attract lawn fungus. Myth: You need to aerate your lawn no matter what. “Aeration is typically only needed if your soil is compacted,” McGeary says. 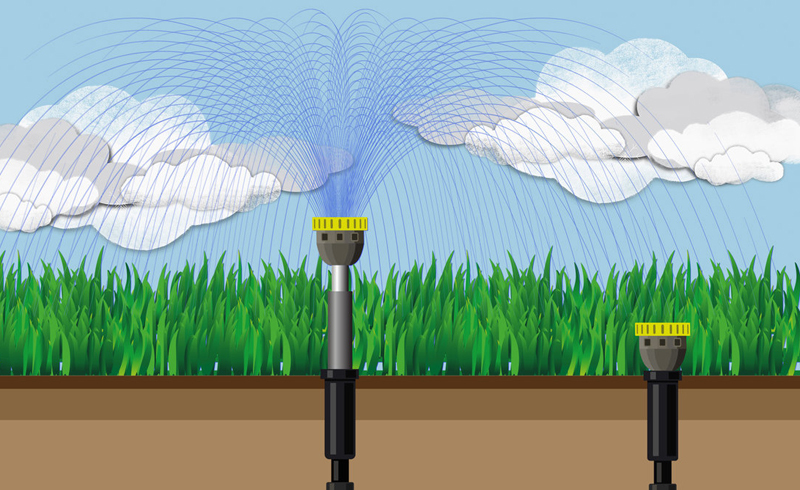 A soil probe can help you figure out if you need to aerate or not. If you do, aerator shoes, a push wheel, or an aerator machine will do the job; be sure to fertilize and seed right after. Myth: The shorter you cut the grass, the less often you need to mow your lawn. Believe it or not, it’s actually better to keep your grass too long than too short. “Mowing too short—scalping—can have some pretty serious repercussions,” McGeary says. “It can weaken and even kill your lawn. Additionally, cutting too short will limit the grass’s nutrient supply, giving weeds free reign.” Try to keep grass about three inches long throughout the growing season. Myth: The best time to fertilize your lawn is during the spring. This one’s kind of true. Grass is either warm-season or cool-season. Both types should be fertilized six to eight times a year, but cool-season grasses should be fertilized in early spring, late summer, and autumn, and warm-season grasses should be fertilized in early spring, late spring, late summer, and autumn. Fun fact: “It’s also helpful to have your lawn fertilized a day or two before it rains,” McGeary says. Myth: Using a hose instead of a sprinkler system will save money. Myth: It’s best to water your lawn every day. “Lawns will do best when watered deeply and infrequently,” McGeary says. This will encourage deeper root growth and minimize browning in the summer.